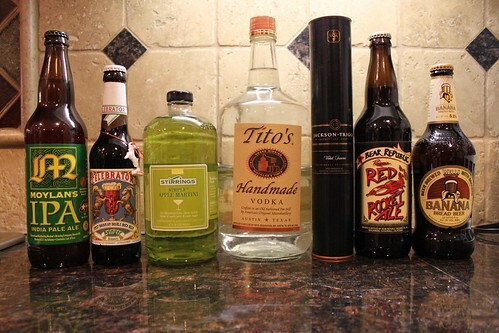 I have a very varied taste when it comes to spirits and tonight’s trip to Bevmo really made that point. I also try to make it a point to purchase beers I’ve never tried before every time I visit. It’s helpful that they list the ratings on the placards of the beers. Below is a list of the items purchased on my visit tonight.